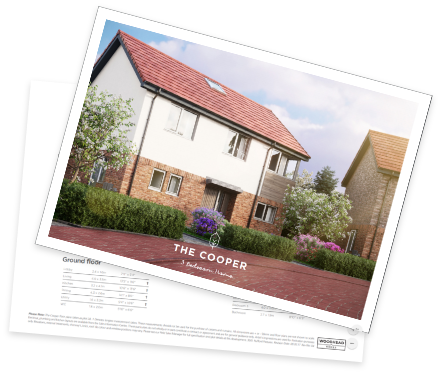 A contemporary designed property, the Cooper is a three bedroom, detached home at Rufford Pastures in Edwinstowe, featuring 1,227sqft (114m²) of accommodation set over two floors. 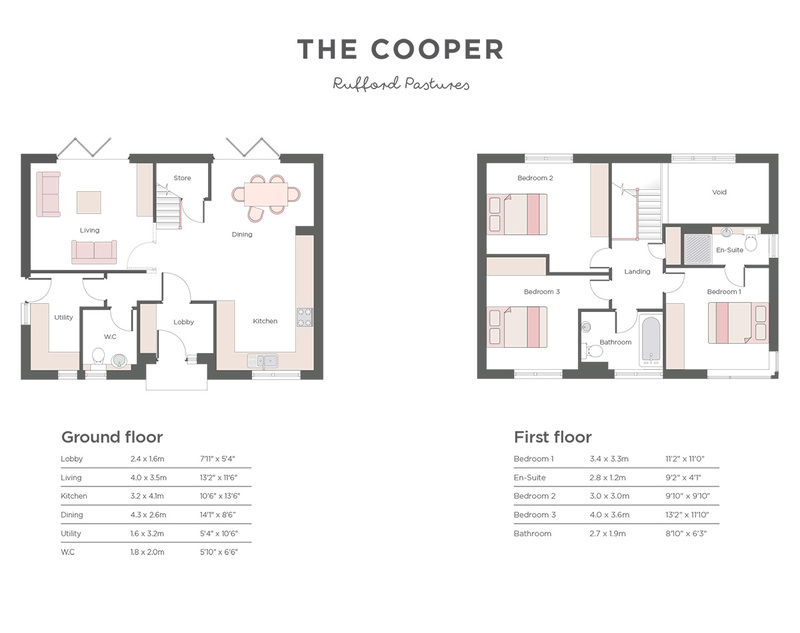 The ground floor includes a spacious lobby leading to an open-plan kitchen, dining and lounge area with and adjacent utility room and WC. Two sets of bi-folding doors lead directly to the garden. The staircase leads to the first floor which comprises floor to ceiling glazing. A landing leads to three double bedrooms (one with en-suite) and family bathroom.